The making of a memorable book requires the skills of an alchemist. Every author starts with the raw material of his or her own experience and expertise, but it can take a certain secret ingredient — passion, vision, inspiration — to transform the dross into gold. That is a fair description of what Baruch Sterman and Judy Taubes Sterman have accomplished in The Rarest Blue"
Baruch Sterman is co-founder of the Ptil Tekhelet Association. 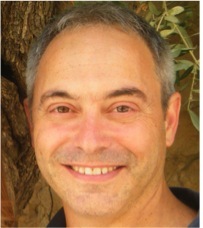 Baruch received his doctorate in Physics and works in high-tech in the US and Israel. 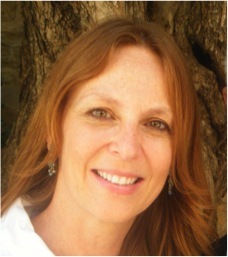 Judy Taubes Sterman has taught Biblical Studies at various schools in Jerusalem. She is the executive administrator of the Ptil Tekhelet foundation, and is also a certified yoga instructor. For centuries, dyed fabrics ranked among the most desirable objects of the ancient world, fetching up to 20 times their weight in gold. Few people knew their complex secrets, carefully guarding the valuable knowledge. The Rarest Blue tells the incredible story of tekhelet, or hyacinth blue, the elusive sky-blue dye mentioned throughout the Hebrew Bible.